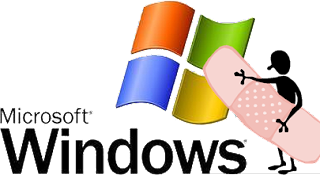 Microsoft is releasing 10 bulletins which fix a total of 34 vulnerabilities. There are six critical vulnerabilities affecting Data Analyzer ActiveX, Internet Explorer (IE) 8 Developer Tools, Internet Explorer, and Windows. These issues are client-side vulnerabilities which could result in remote code-execution in a successful attack if a user is currently logged-in at the time and the attacker is able to trick the user into performing specific a action. There are also 14 vulnerabilities being fixed in Microsoft Excel (all but one resulting in remote code execution vulnerabilities). A remote code-execution vulnerability affects Internet Explorer because of how it handles an object that has not been properly initialized or has been deleted. An attacker can exploit this issue by tricking an unsuspecting victim into viewing a web page containing malicious content. A successful exploit will result in the execution of arbitrary attacker-supplied code in the context of the currently logged in user. A remote code-execution vulnerability affects Microsoft Windows due to how it handles compression data in media files. An attacker can exploit this issue by tricking an unsuspecting victim into opening a specially crafted file or into viewing specially crafted streaming content. A successful exploit will result in the execution of arbitrary attacker-supplied code in the context of the currently logged-in user. A remote code-execution vulnerability affects the Microsoft Data Analyzer ActiveX control. An attacker can exploit this issue by tricking an unsuspecting victim into viewing a malicious web page. A successful exploit will result in the execution of arbitrary attacker-supplied code in the context of the currently logged-in user. A remote code-execution vulnerability affects the Microsoft Internet Explorer 8 Developer Tools. An attacker can exploit this issue by tricking an unsuspecting victim into viewing a malicious web page. A successful exploit will result in the execution of arbitrary attacker-supplied code in the context of the currently logged-in user. A remote code-execution vulnerability affects Internet Information Services (IIS) when parsing authentication information when it is configured for ‘Extended Protection for Authentication’. An attacker can exploit this issue to execute arbitrary code with the privileges of the affected application. This may facilitate a complete compromise of the underlying computer.